Serving lunch, dinner and Sunday brunch. Our award winning handcrafted ales and lagers are always on tap. 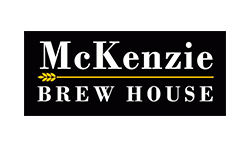 McKenzie also stocks a full bar and offers an excellent variety of wines available by the glass or bottle.